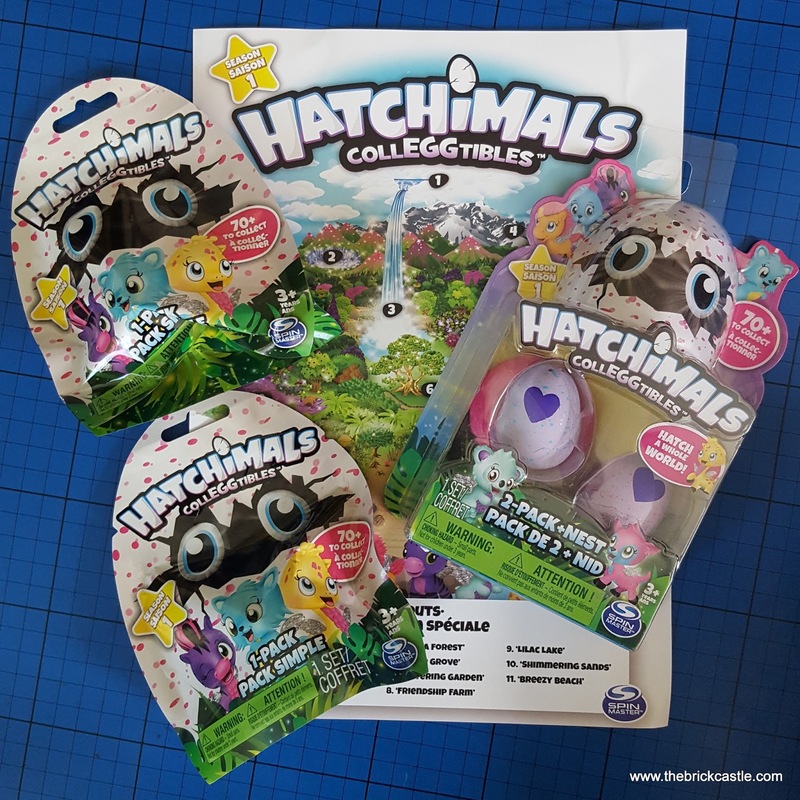 Hatchimals from SpinMaster Toys were incredibly popular last Christmas and today sees the launch of their smaller, pocket-money friendly (£1.99) CollEGGtibles. 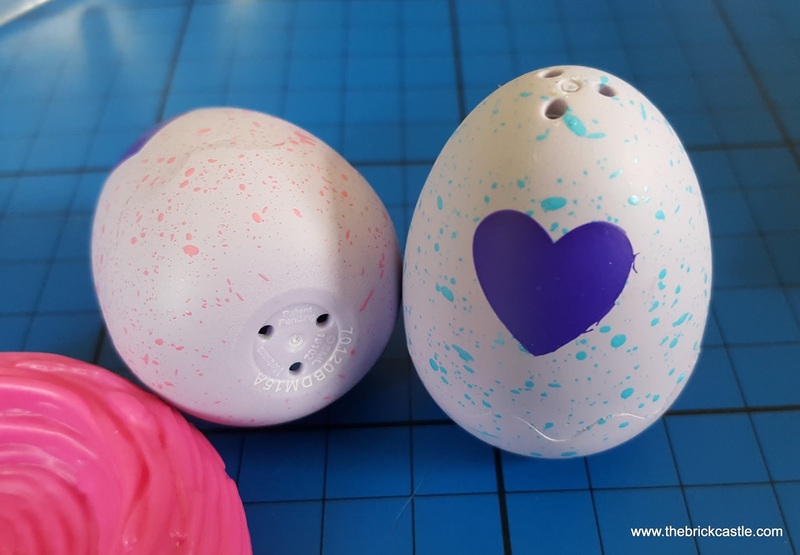 With 70 colourful little Hatchimals CollEGGtibles characters to collect and a surprise inside your egg each time, these are sure to be a huge hit with children aged 5+. 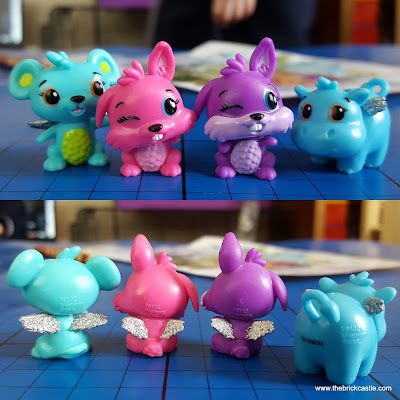 We've been sent two of the blind bags and one 2-pack to review. The blind bags contain an unknown colour of egg, so you have no idea at all who could be inside. 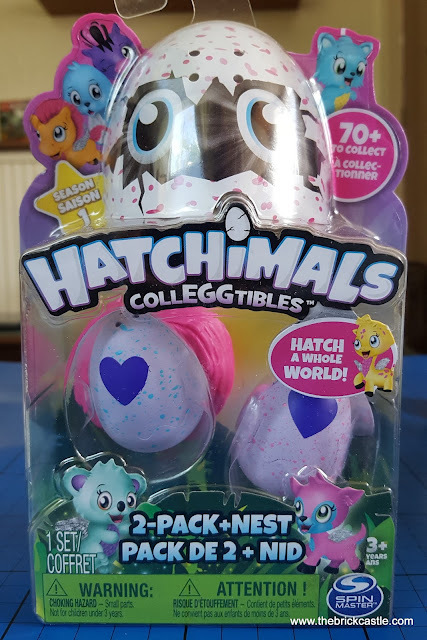 The 2-pack has visible eggs, so you can guess the family groups that the Hatchimal CollEGGtibles will be from by looking at the colour of their speckles, but you still don't know which ones you have. 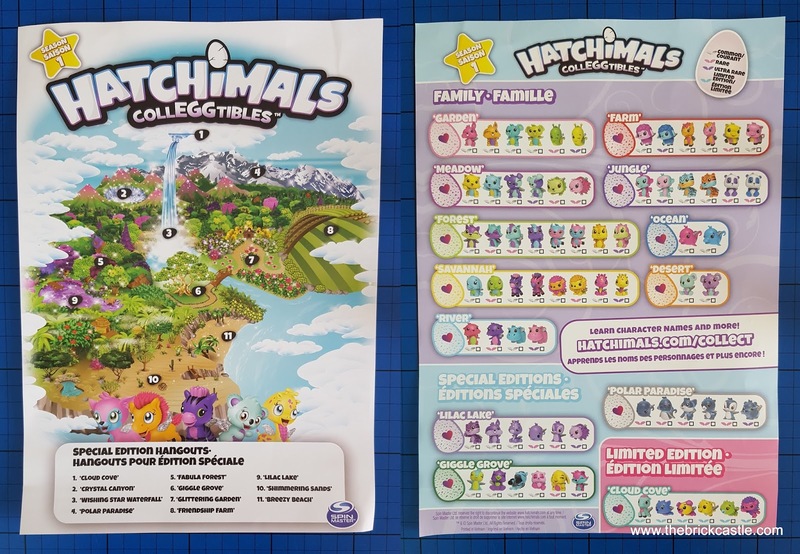 Inside each pack is a Collectors Ticksheet and you can download the Hatchimals CollEGGtibles Collectors Map And Guide from their website. The 2-pack Hatchimals CollEGGtibles also come with a nest for your eggs and characters. Ours is bright pink! Each Hatchimals CollEGGtibles egg is actually quite strong, you are unlikely to break them by accident. 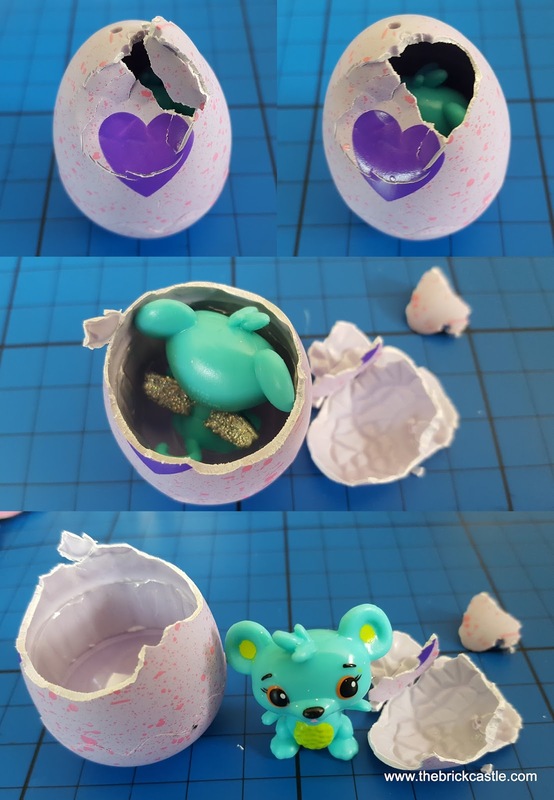 Nice to see they have holes top and bottom, although they are a 5+ toy because of the small parts involved. 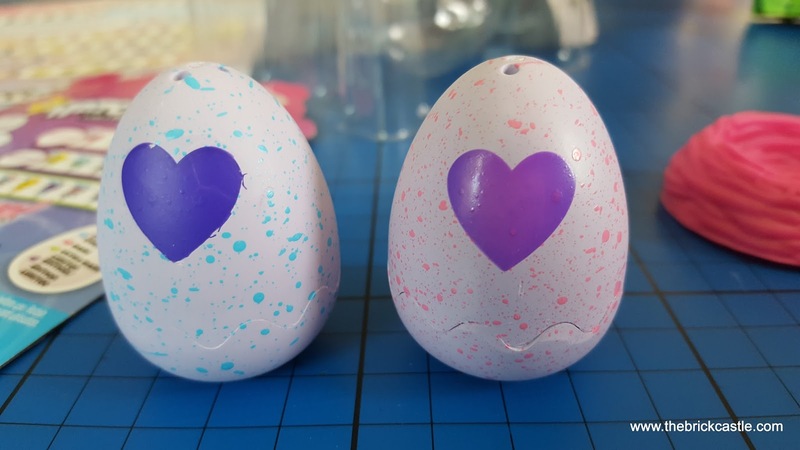 Each Hatchimal CollEGGtible has a heart on the front which will turn pink when you rub it. You have to rub for about a minute and you have to rub quite hard. But it does work (see real time video below). The section behind the heart will be softer and you can press it in, and start cracking your egg. We got the mouse from the Garden Family. 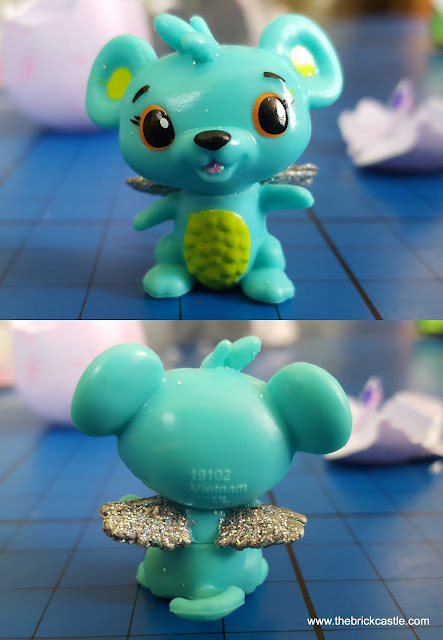 He has silver wings (all Hatchimals CollEGGtibles have wings, only a few have different colours) and stands about 3.5cm tall. 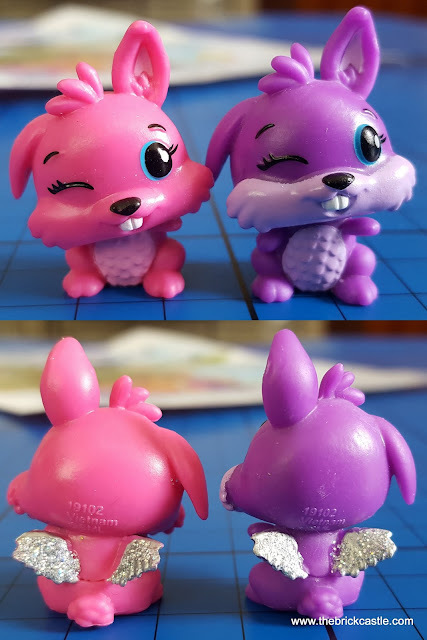 We were lucky to find one of the Special Edition characters, the rabbit from Lilac Lake and also get the regular Garden Family Rabbit. They're pretty much identical except for their colouring. I'm not certain the pink bunny is actually meant to be shorter! Our last blind bag revealed the hippo from the Water Family. He is really very cute. 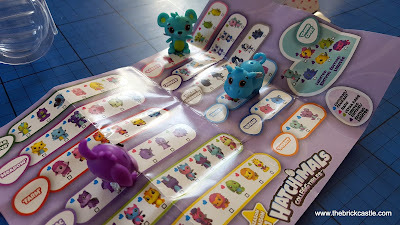 My boys loved opening these and have enjoyed playing with them. 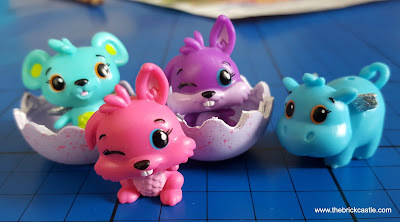 I think it's likely they'll be popular more with girls overall, but as collectibles go they give your child a little more excitement than your average. 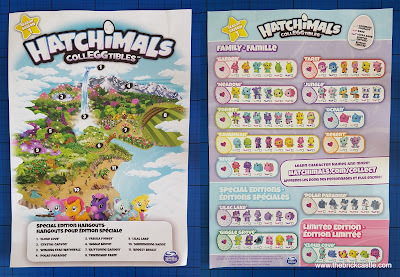 The blind bags have 2 reveals and the packs offer accessories to create your own little world. 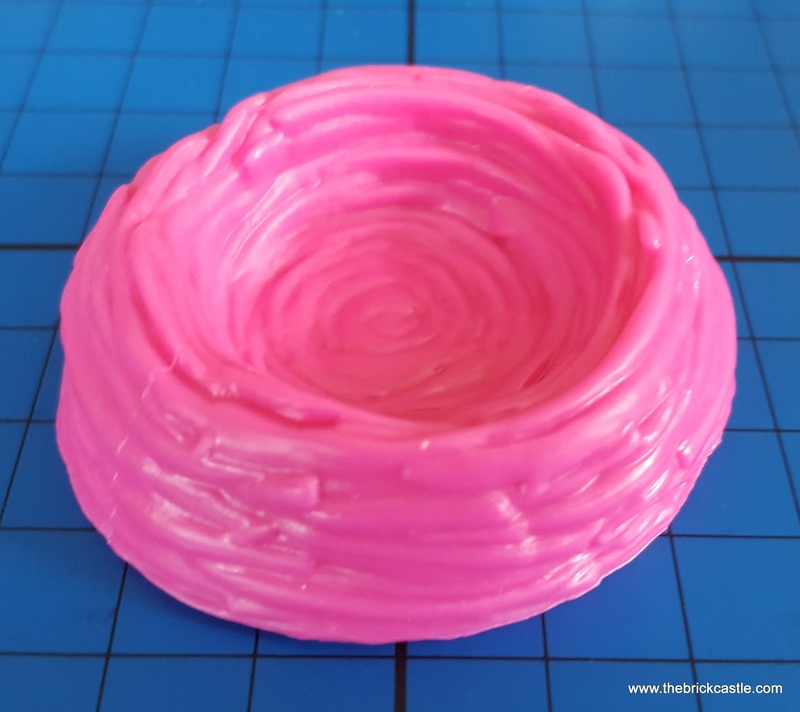 There is a lot of added benefit from the eggs, even to the point that you can keep the unbroken bottom portion as a 'nest' for your character, and at £1.99 for a blind bag the price is really good compared to most other small blind bag toys. 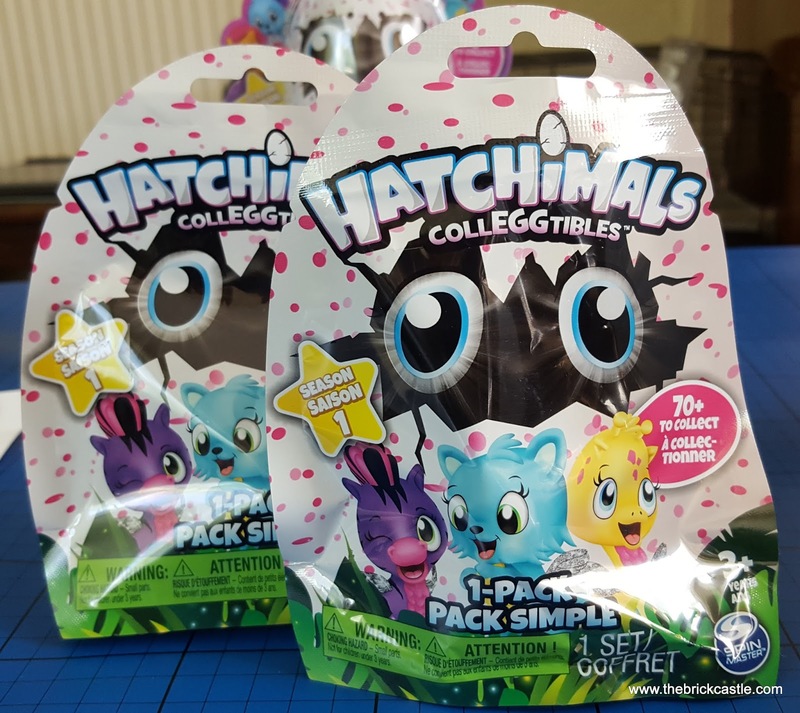 Hatchimals CollEGGtibles are available to buy from today, in Single Blind Bags rrp £1.99, 2-Pack With Nest rrp £4.99, and a 4-Pack With Bonus Character £9.99. From all good toy stores. Find out stockists and more on the Hatchimals website. We were sent our Hatchimals CollEGGtibles for review. My daughter is looking at this with me and now wants these! She had a Hatchimal for Christmas and loves it. They are exceptionally cute aren't they? There's something very rounded and cuddly about them.